Today, I'm paying tribute to one Filipino website that recently closed down. What could have been the possible reason/s for its exit from the world wide web? We probably will never know unless we hear from its webmasters. The site looked perfectly OK prior to its shutting down -- it had 687 backlinks according to Alexa and it had a Google PageRank of 4/10. Note: This Domain Name has expired. The status of this domain name is inactive. This domain name will be activated once it is renewed. The Owner of this domain can renew this domain name from their control panel. If this domain name is not renewed by 13-Feb-2013, it will be permanently deleted." The demise of this site is a big loss for the Filipino bloggers. We lost one backlink from the site and at the same time we lost a directory of blogs/websites for the Filipinos. I will surely miss its homepage as well as its logo on my blog. 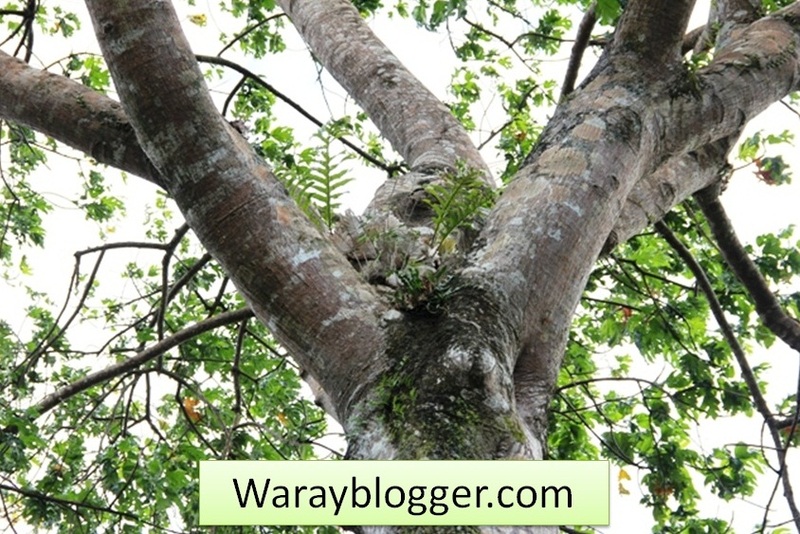 For a more comprehensive list of Waray words, you may visit this blog's Waray dictionary. "Aladaw" is a Waray word that functions as a transitional device, specifically, a subordinating conjunction. It is used to introduce a subordinate clause and cannot stand on its own. I guess there is no exact English translation for this word. "Instead" is the closest word that I can think of at this moment. "Nagkikinaturog ka la; aladaw, panhugasi ito mga hugasan." "You just keep on taking a nap, why don't you do the dishes?" WARAY WORDS STARTING WITH "A"
Note: The "NG" in angot is pronounced like the "NG" in suffering. "Ayaw pag-inayara im kwarta; aladaw, ibutang sa bangko." "Don't hoard your money. Put it in the bank instead." "Put your money in the bank instead of hoarding it." A Waray subordinate clause that starts with "aladaw" cannot be placed in front of a main clause. Simply put, "aladaw" is usually never placed at the beginning of a sentence. Ready for Waray Tongue Twisters? 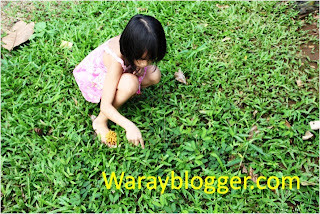 Warayblogger.com may be one of the more inactive blogs in the blogosphere, but it still managed to do five (5) great things in 2012. It finally got a 6-digit Alexa traffic rank (TR). Initially, this site had a 27,000,000+ Alexa TR. Getting a 6-digit rank was, in other words, a very elusive dream for me. I read, studied, and visited every blog that talked about the Alexa TR. I did what other bloggers suggested and was soon giving tips on how to improve a blog's Alexa statistics. As of this writing, Warayblogger has a three-month global Alexa traffic rank of 746,766. Elusive dream? Not anymore. Got back the Google PageRank (PR) in May. When this site's URL changed, it also lost its Google PR. Majority, if not all, of the webmasters worldwide at one point in time go gaga over Google PR. Some say that chasing this Google thing is like having your own Holy Grail quest. I don't think I'm up for this challenge; hence, I'll stop running after it. That green bar is enough to make me a happy blogger. More blog posts were written this year. I once read an article titled, "How to make your blog look old." It had such a compelling content (said blog is, however, unavailable at the moment) that I followed the blogger's advice -- I reviewed my blog and wrote some posts for those months where I had no entries. For example, the Waray dictionary can be found in last year's archive. It was, in reality, written in April, 2012. I'm admitting it now: the blog posts that appear to be written about a year ago were actually written recently. This blog is starting to be self-sufficient through its passive income. I may not have been your typical prolific blogger, but this blog was quietly doing something for itself. As a result, I'll have funds for the domain renewal come January 30, 2013 which means I'll be able to continue serving those who come to this site searching for some information. Life is great, isn't it? There is hope for this site and I'm looking forward to bigger and better things ahead of me.